DISCO’s search is a powerful tool for finding documents. The expressiveness of the Westlaw-style syntax makes even the most complex searches a breeze. But all the search-power in the world can be of limited use without a clear, detailed understanding of the data. 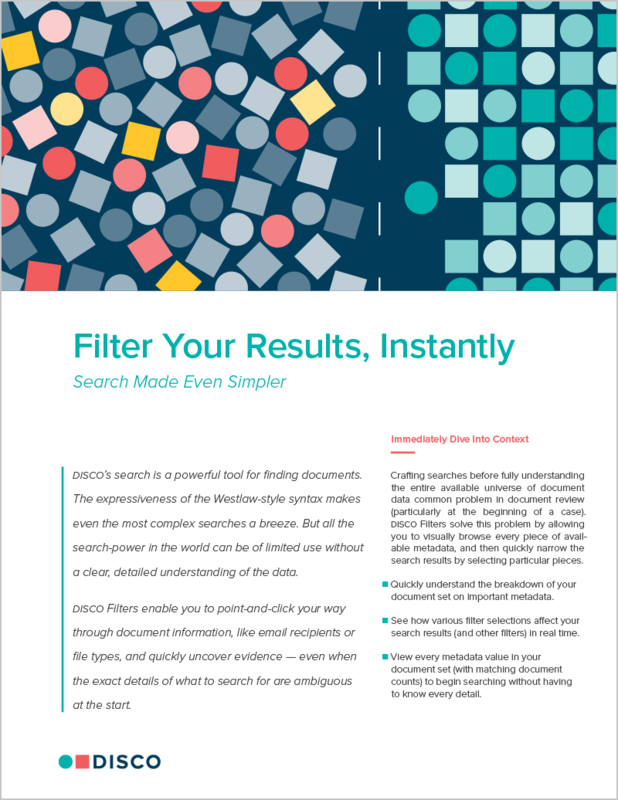 DISCO Filters enable you to point-and-click your way through document information, like email recipients or file types, and quickly uncover evidence — even when the exact details of what to search for are ambiguous at the start.